Chocolate is one of the most well-loved flavors in the world. Even its scientific name, “Theobroma cacao,” means “food of the gods”—it is so delicious it is heavenly! Even chocolate can be improved by adding additional flavors now and then. 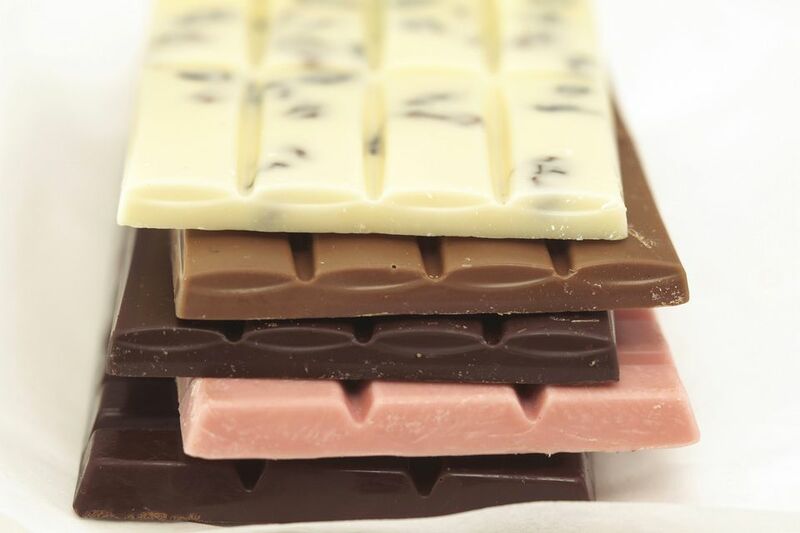 Chocolate pairs well with a wide variety of flavors. Vanilla is the most common flavor pairing with chocolate. Many candy manufacturers add either pure vanilla or vanillin (an artificial vanilla flavor) to their chocolate candies, resulting in a light vanilla undertone that many people are used to. Beyond basic vanilla, chocolate goes well with almost any fruit flavor. Citrus flavors, like orange and lemon, are most traditional, but grapefruit and lime work well too. Tart fruits like cranberries, pomegranates, and even pineapple also pair nicely with chocolate. Other long-time chocolate pairings are almond, coconut, and coffee. In recent years, chocolate companies have become much more adventurous, and it is now common to see chocolate paired with bacon, vinegar, and even more exotic flavors. Small batch chocolates, some with unique flavor pairings, are gaining popularity and can be easily found in most specialty food stores and even many grocery stores. Chocolate can be flavored with alcohol-based extracts, liqueurs, or flavored oils. Alcohol-based extracts are commonly found in the baking aisle of grocery stores and include flavors like vanilla, almond, hazelnut, coconut, and lemon. These are the most readily available flavorings for most consumers. Most everyday cooks have a bottle of vanilla extract in their kitchen cupboard as a standard baking item. Beyond alcohol extracts, regular alcohol is also a great addition to chocolate recipes. Liqueurs and spirits that pair well with chocolate include amaretto, brandy, rum, Cointreau, Grand Marnier, and Kahlua. It is important to remember that when adding alcohol extracts and liqueurs to chocolate, these liquids need to be added to chocolate mixtures, not pure melted chocolate, otherwise the alcohol will cause the chocolate to seize and form a lumpy mass. (This lumpy mass is known as seized chocolate and it can be fixed) Alcohol and alcohol-based flavorings are well-suited for truffles, fudge, and other candies that involve mixing melted chocolate with cream, milk, or other substances. So how do you flavor plain melted chocolate without making it seize into a lumpy mess? Oil-based flavorings, sometimes called “candy flavoring” or “chocolate flavoring,” can be added directly to melted chocolate without causing it to seize. The best way to determine if you have the right flavoring is to read the ingredient list. If it lists oil as the first ingredient and does not list water, then you can add this directly to melted chocolate and it will not seize. Oil-based flavorings can be found online, at cake and candy supply stores, and often at large craft stores in the baking and candy aisle. Common oil-based flavorings include mint, cherry, strawberry, hazelnut, cinnamon, and orange. Many of these flavorings are potent—especially mint—and should be used more sparingly than their alcohol-based counterparts.